Flange Linear Bearing are characterized of smooth movement, low friction, high rigidity and long life spans. And they are economical and easy to maintain or replace. These products are widely used in digital control machines, light industrial machinery, medical machinery, bowling facilities and various packing machinery. 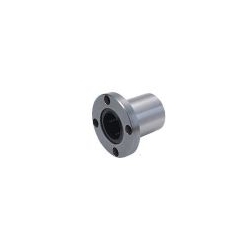 SWF Standard Flange Linear Bearings; LMT Standard Flange Linear Bearings.